Here is the list I have started for both crêpe and pancakes, but there are probably more out there, so let me know if you have a favourite place. Please note, you need to check regarding cross contamination – ie using the same griddle to cook as wheat crêpes, utensils, sauces etc). 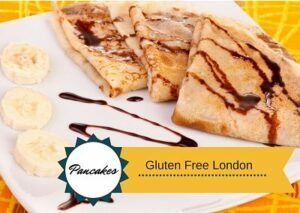 Also check the London list of 100% gluten free venues, as many of the cafes will do pancakes for breakfast or for Shrove Tuesday. This post was last updated February 2019. All stores open 7 days from mid morning until at least 9.30pm (some stores open until 11.30pm). They also do takeaway. Gluten free and dairy free crepes at many locations around the UK. For a review by Gluten Free Dining, click here. Check their website for details of London locations in Wimbledon, Chiswick, Islington, Stratford (Westfield) or Spitalfields! There is a gluten free batter alternative (NB it contains oat milk if you are sensitive to oats) with GF marked on menu (but menu clearly states kitchen contains allergens). 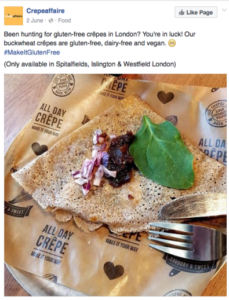 Gluten free buckwheat crêpes advertised. Shop location in Camden Town and three markets around London. Not exactly a crêpe, Dutch proffetjes are more like a little pikelet, but I think they fall into the same yummy category as crêpes! See my blog entry on Greenwich Market here. The stall is open Tue/Wed/Thurs/Sat. 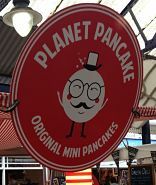 Follow them on Twitter @planetpancakes to see where else they are – I’ve also seen them at Spitalfields market. Their website states their buckwheat crêpes are gluten free and I’ve enjoyed a savoury one for lunch when in the area. Open 7 days until 10pm (open 8am weekdays, 1oam weekends and public holidays). Plenty of seating and also takeaway. It is opposite the Hammersmith & City line station of Hammersmith, just around the corner from the main Hammersmith tube station. A little cafe in Brixton Village market – they do buckwheat crêpes (eat in or take away). Open 7 days. The buckwheat crêpes here are naturally gluten free, and each day only a dedicated crêpe machine is used for the galettes to avoid cross contamination. 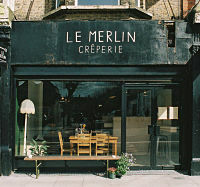 The crêpier is from south Brittany, so you get an authentic experience at Le Merlin. There are plenty of lovely savoury options with even the cheese and charcuteries imported from France, but if you prefer a sweet crêpe, you can also have those toppings on a galette. 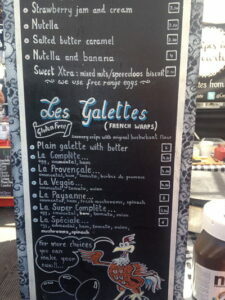 A mobile crêperie run by a Frenchman, so the galettes are authentic 100% buckwheat and gluten free. They are cooked separately from the wheat based crêpes. 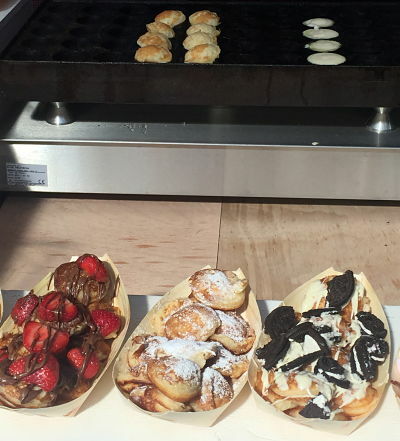 A mobile crêpe stand based around north west London. GF and vegan available. Keep an eye out for them! Have you tried TRULY SCRUMPTIOUS CREPERIE ? They are totally gluten free and is run by two Coeliacs. They are a mobile unit and travel the country at events and have a large regular following for 6 years now. 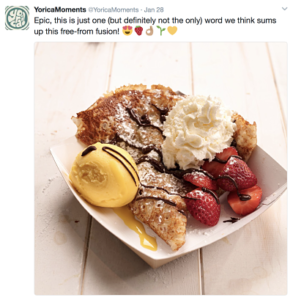 They do sweet/savoury crepes and no bitter buckwheat in site (and also no cross contamination, they know what they are doing). Alternative lactose free milk also available on request. Also egg free dairy free Wraps. They are rated 5 STAR and are on facebook with their dry mixes for the retail market too in their facebook shop. They really are truly scrumptious! 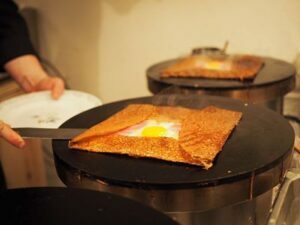 Hi Alan, someone alerted me to Truly Scumptious Creperie a couple of weeks ago, so they are on my radar, thanks! 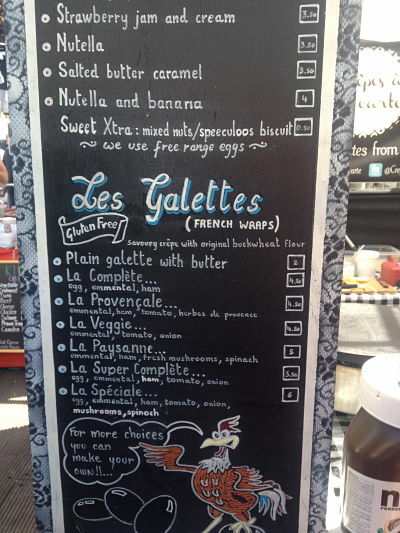 I LOVE crepes, so hope to see them in London soon….